sushi Book | WILLER Inc.
Sushi taxi offers the trip to enjoy Sushi and sightseeing at flat rate. The certified Sushi taxi driver takes you to a Sushi restauranta during this plan, and shares with you the culture of Sushi in Kanazawa. In the sushi shop, you can enjoy Sushi in Kanazawa from 1,500 yen. Komatsu Airport 11:00 Dept./13:30 Dept./16:00 Dept./18:30 Dept.＝＝(Sushi Taxi ride)＝＝Visit a recommendable Sushi restaurant(60min) ＝＝(Sushi Taxi ride)＝＝ Kanazawa Station　13:00 Arr./15:30 Arr./18:00 Arr./20:30 Arr. Kanazawa Station East Exit Taxi stand 11:00 Dept./13:30 Dept./16:00 Dept./18:30 Dept.＝＝(Sushi Taxi ride)＝＝Visit a recommendable Sushi restaurant(60min)＝＝(Sushi Taxi ride)＝＝Komatsu Airport　13:00 Arr./15:30 Arr./18:00 Arr./20:30 Arr. 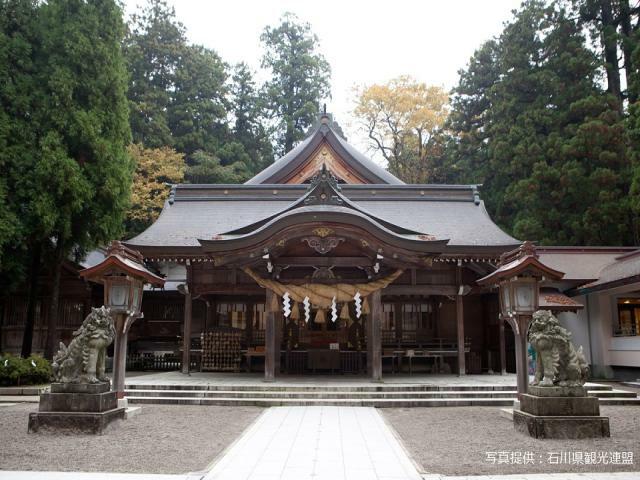 Shirayama Hime-jinja Shrine and Kinken-gu Shrine are known for their spiritual power. While Shirayama Hime-jinja Shrine is known for fortune in love, Kinken-gu Shrine is a popular destination for those seeking to improve their financial fortune. Experience the town atmosphere of Ishikawa and visit these founts of spiritual power for a fulfilling vacation. 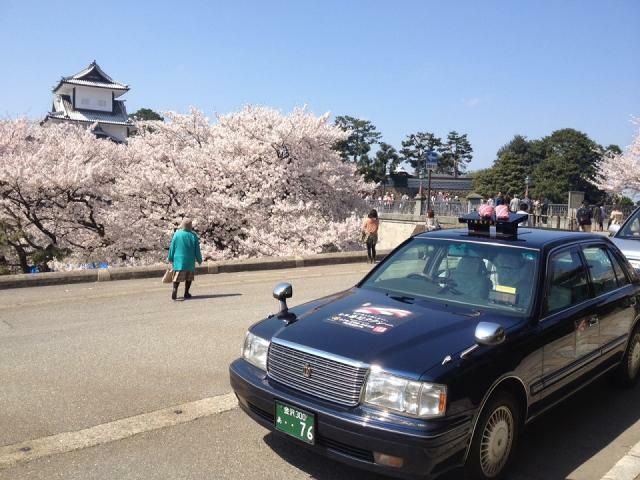 Kanazawa Station East Exit Taxi Stop 9:00 Dept./11:30 Dept./14:00 Dept.＝＝（Sightseeing Taxi）＝＝Shirayama Hime-jinja Shrine＝＝Kinken-gu Shrine＝＝（Sightseeing Taxi）＝＝Kanazawa Station　11:00 Arr./13:30 Arr./16:00 Arr. With a group of four, the price per person is 3,150 yen. 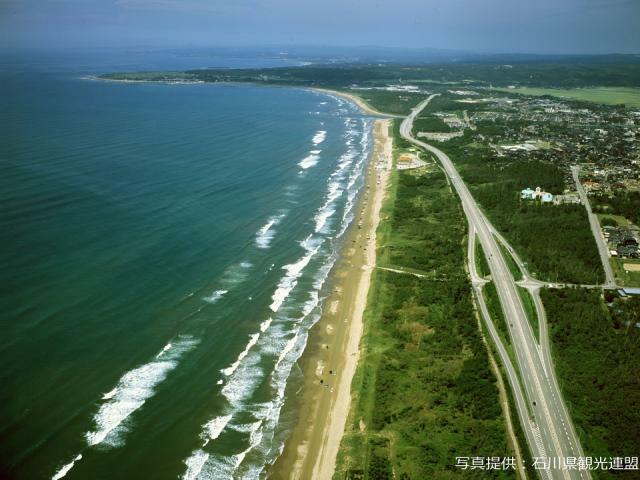 The Chirihama Nagisa Driveway is a sightseeing spot on the Noto Peninsula and the only beach in Japan where cars can drive. Enjoy the view of the sea from the taxi, which has a different feel from walking along the beach. Kanazawa Station East Exit Taxi Stop 10:00 Dept./13:30 Dept. ＝＝（Sightseeing taxi）＝＝Chirihama Nagisa Driveway/Explore Chirihama and "Roadside rest stop Noto Chirihama" （60min）＝＝（Sightseeing taxi）＝＝Kanazawa Station 13:00 Arr./16:30 Arr. With a group of four, the price per person is 4,725 yen. 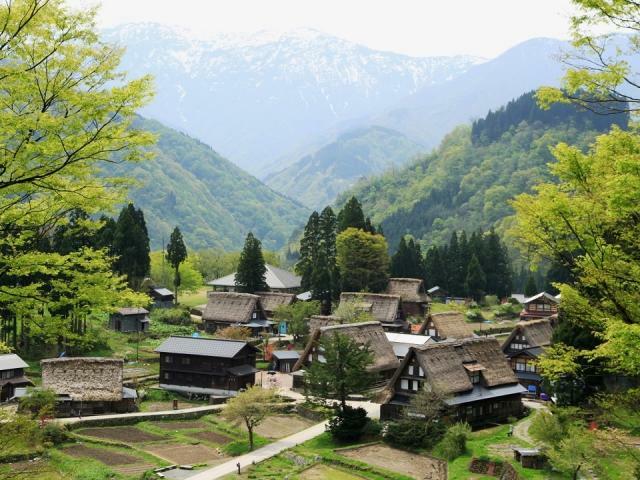 Take just one step in the World Heritage Site of Gokayama Ainokura Village and you will feel like you have been transported back into the beautiful scenery of a Japan that once was. Although it is difficult to get there by public transportation, the sightseeing taxi takes you there directly without transfer. Life goes on in this small valley village much as it did in older days and you can still see homes precious for their unique architecture found nowhere outside the area. Forget about daily life and enjoy the tranquility. Kanazawa Station East Exit Taxi Stop 9:00 Dept./12:30 Dept./17:00 Dept.＝＝(Sightseeing Taxi）＝＝World Heritage Gokayama Ainokoura Gassho Village (60min）＝＝（Sightseeing Taxi）＝＝Kanazawa Station 12:00 Arr./15:30 Arr./20:00 Arr. With a group of four, the price per person is 5,512 yen.